You probably already know that the bigger the centerpiece, the more money it’ll cost you. Also, looking for large wedding centerpieces sale can be tricky depending on how much time you have to find them. In fact, your best ally is time. 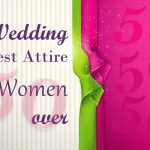 If you’re getting married in 2 months and you just started to search for the best deals, it could be tough. Moreover, if like many people you choose to have your wedding during the months of May through September, you’ll need to be lucky to find a real deal. The following products are available on Amazon by clicking on the links and images provided. I don’t mention any prices as there are discounts that come and go throughout the year. Some of these are sold in packs of 10 pieces or more. This means they are sold at a lower price than if you buy them per unit. 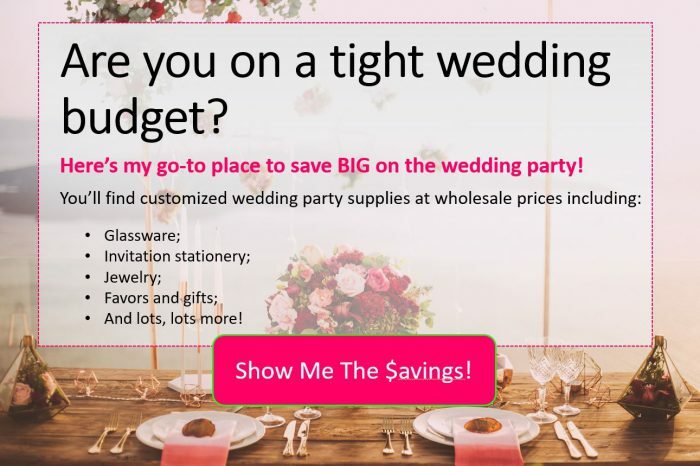 Therefore buying in bulk is a great way of saving big bucks instead of waiting for a sale that may not come in time for your wedding. Tall glass vases are one of those items that you can easily find in bulk and save a considerable amount of money as you will see in the following glass vase designs available on Amazon. 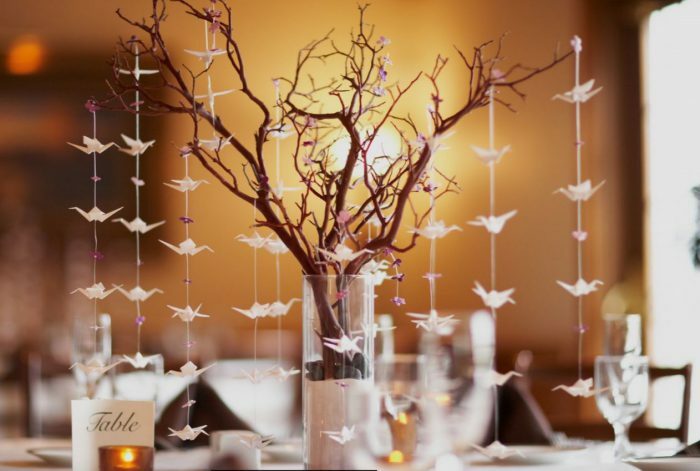 This glamorous table centerpiece comes with 8 acrylic garland chains. It’s offered in a large variety of colors to match your wedding theme colors. What I like about this tree is that the branches are flexible and can be bent to achieve the visual effect you are looking for. I’ve seen many arrangements that include glass bulbs hanging from the branches with LED tea lights. 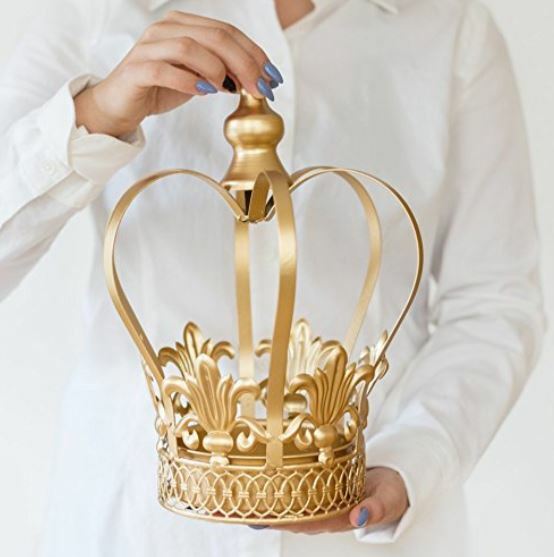 This wedding accessory is absolutely perfect to decorate a wedding table or a majestic wedding cake. I would love to see these decorated with cascading wildflowers or with baby breath flowers to add refined touch to a grandiose wedding table decor. This Dimension: 27,5 inches tall. Dimensions: 40 x 17 inches. 5 arms. Made with Empress Crystal (TM). These crackled glass candle holders are large enough to create an interesting visual without blocking your guest’s sight. 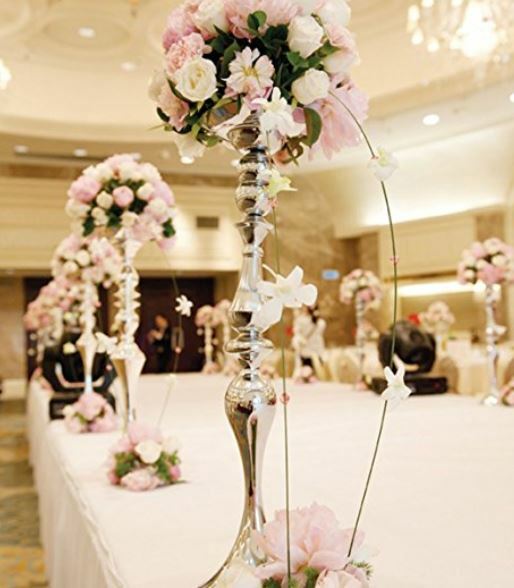 This candle holder can also be used as a flower stand as featured in the picture below. It’s available in a large spectrum of sizes and in 3 different finish: white, silver, and gold. Spring and summer are known to be “wedding seasons”. Consequently, vendors tend to boost their prices to compensate for the sells they won’t be making during low season. If you’re in luck you may get a 10%… Which is, let’s face it, deceiving compared to the 30% and 50% you’ll get on many items the rest of the year. 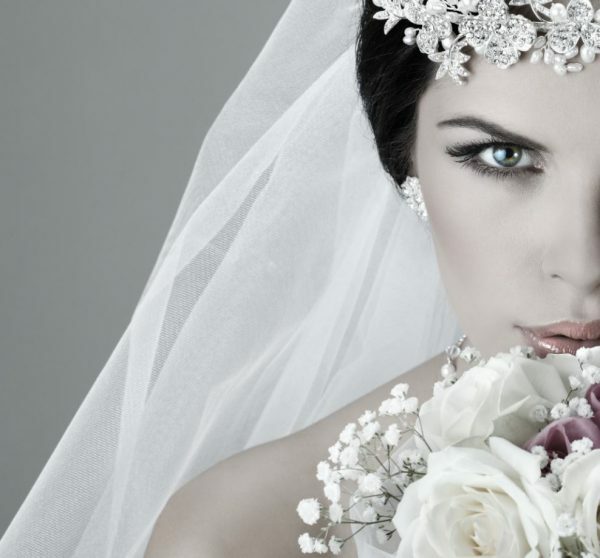 In this regard, wedding fairs are offering great discounts on their services and products. Again, planning ahead is always your best bet. 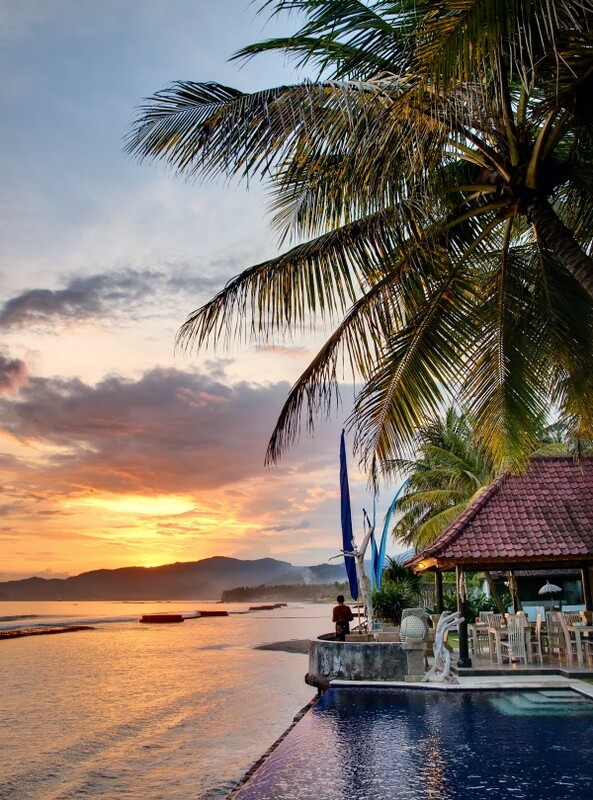 In fact, these events are held during the low season and offer discounts to people who are ready to commit and pay in advance a percentage of the bill. If your looking for a finished centerpiece it will definitely boost the price above and beyond any other alternative you may have thought of. If you are willing to buy your centerpieces “in parts” you’re definitely going to save money. Even better, you can have the same look (rustic, glamorous, etc.) you were hoping for less money than renting or buying a generic finished centerpiece. Assembling different decor elements together is something that is within reach of all. So, if your short on time and haven’t found any deals while the big day is approaching fast, there are many discounts available on large online retailers. As mentioned earlier big online retailers like eBay, Wish and Amazon also offer to buy in bulk if you need 10 or more centerpieces. 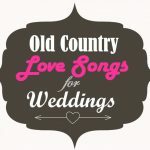 Large Wedding Centerpieces Sale, Start Searching Early! In conclusion, don’t wait for the venue’s decor provider to make you a deal. They’re usually the most expensive option of all. Event renting fees are pretty high. 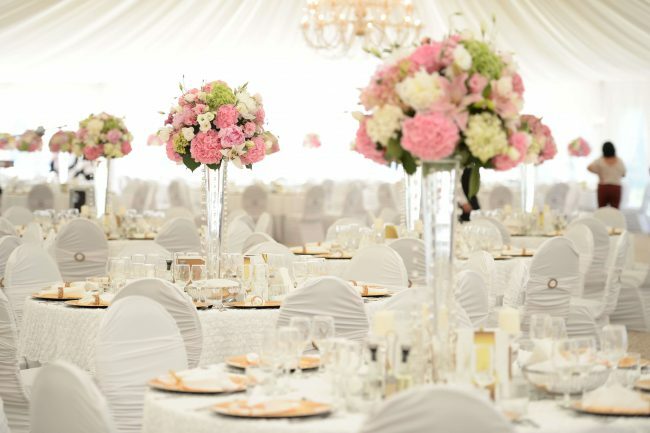 Also, avoid waiting until the last minute to start searching for large wedding centerpieces sale and you’ll definitely get great bargains.